﻿ Have a Phone to Sell? personal information when you sell. Make up to 50% more money on your used phone. 1. List in 60 seconds with the app. 2. Remove your personal data with our tips. 3. Ship it quick and easy with your eBay box. Step 1: Back up your data and contacts and remove your SIM card. Step 2: Log out of iCloud—this ensures your iCloud data will not be erased. Step 3: Sign out of all apps, clear the data, and uninstall. Step 5: Turn off Find My iPhone. Step 6: Wipe your phone in Settings > General > Reset. Tap Erase All Content. Step 1: Back up your data and contacts, and remove your SIM card and storage cards. Step 2: Sign out of all apps, clear the data, and uninstall. Step 3: Remove all screen locks in your settings. Step 4: Log out of Google and Samsung accounts in your settings. Step 5: Wipe your phone in Settings > Backup & Reset. Select Factory Reset. List it quick with the app. 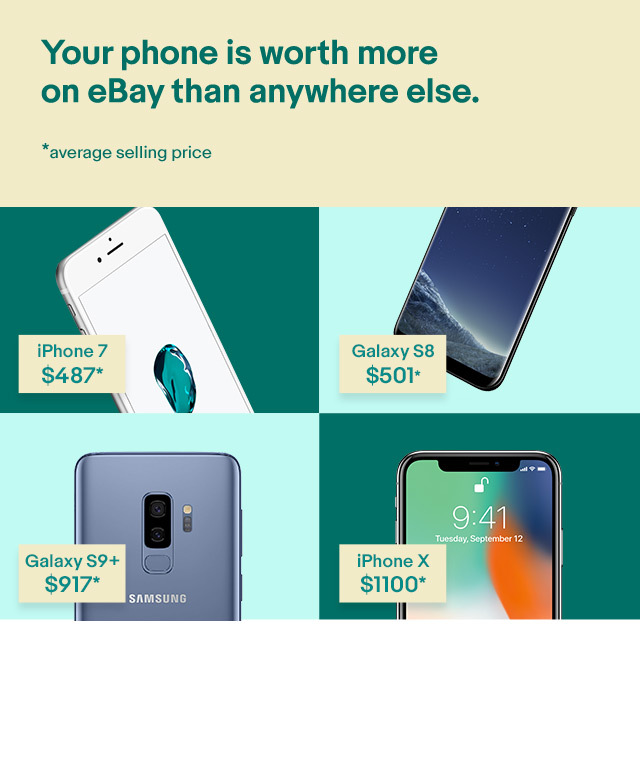 *Based on comparison to Rogers Wireless, Bell and Telus online sales of select used phones as of August 3, 2018.